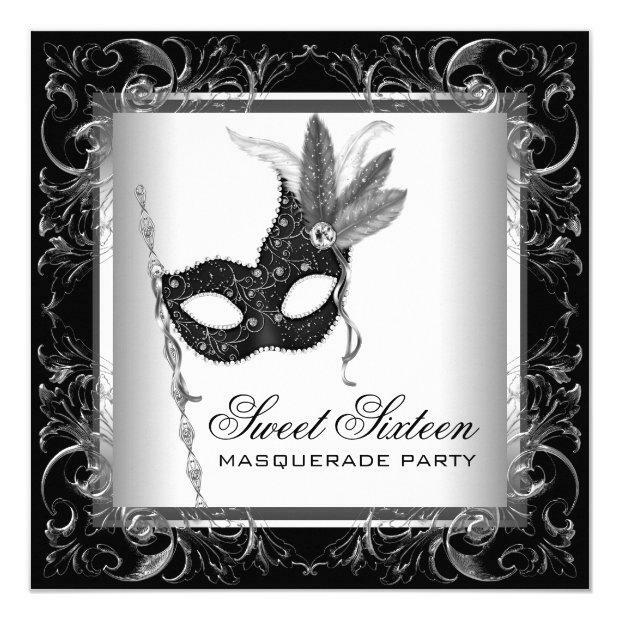 Black feather mask black and white sweet 16 masquerade birthday party invitation with beautiful feather mask on a silver, black and white swirl background. 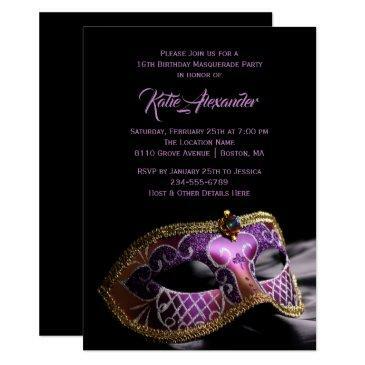 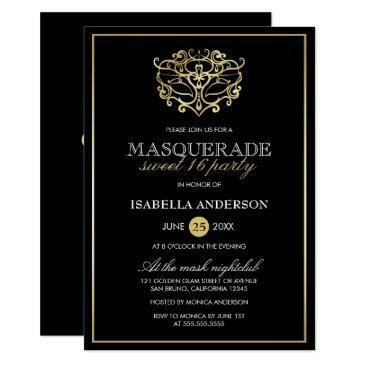 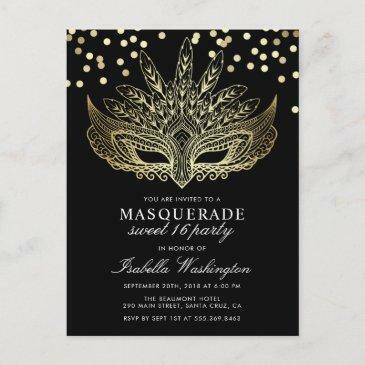 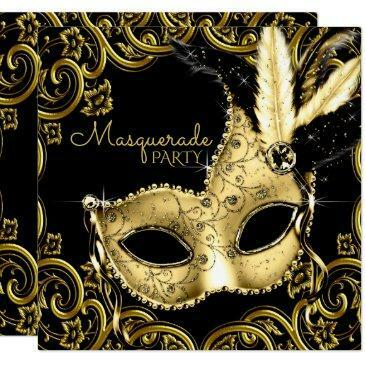 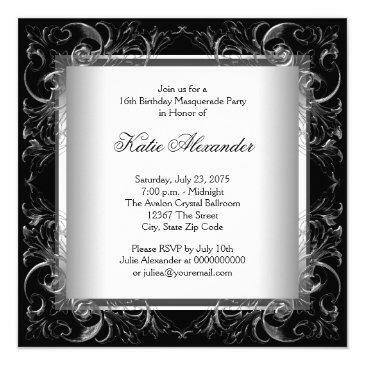 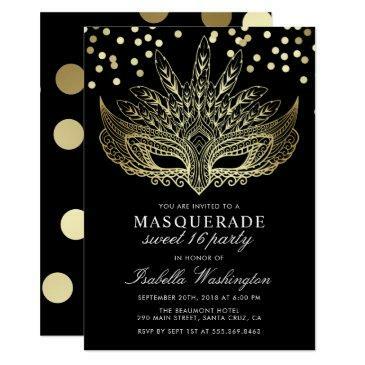 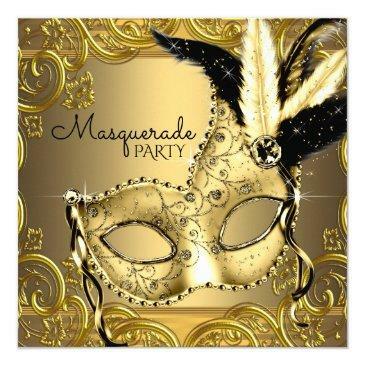 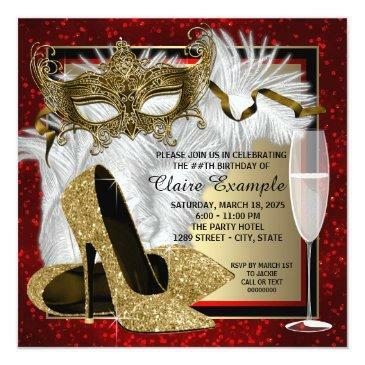 You can easily customize this black and white masquerade party invitation for your event by simply adding your details in the fonts style and color and wording of your choice. 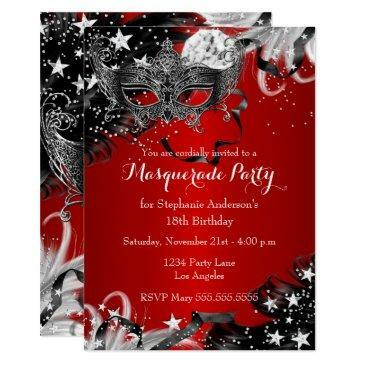 You can also change the background color.